October 5th, I moderated a fantastic panel discussion on writing adult content that is steamy not stinky at InD’Scribe Con & Book Festival. It was a great discussion where the panelists demonstrated both insight and humor. Panelist, Marc Sanderson authors romance that features mystery and fantasy. Jake Weston is on a mission. He needs to find a project site for the ECOSYSTEM SERVICES INSTITUTE before it loses its funding. When his friend from the Department of Justice’s Environmental Crimes Unit asks him to go undercover in a small Northern California coastal town called Jenns Cove to investigate a corrupt corporation, Jake sees the opportunity to kill two birds with one stone. He can find his site and possibly bring a big polluter to justice. What he doesn’t expect is to meet Maggie Gallagher, a local attorney, single mother and possibly the woman of his dreams. 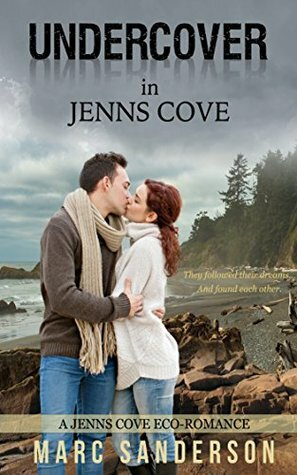 Only one problem: Jake can’t tell her who he really is or why he’s come to Jenns Cove. Anyone in the small town could be involved in environmental crimes, even the local hotshot attorney, and his investigation is strictly confidential. When Maggie meets Jake, she can’t believe her bad luck! The first man she’s been interested in for a very long time, and he’s only in Jenns Cove for a short time. She’s not the type of person to indulge in a fling, but that might be all she and Jake can have. He lives three hours away in San Francisco and her life is in Jenns Cove. When her friends and even her family encourage her to go for it, Maggie decides to live in the moment—just this once—and go with her heart. She only hopes that Jake isn’t too good to be true. 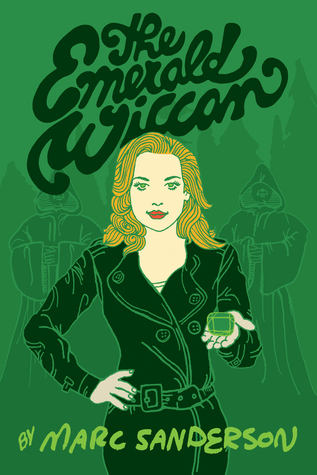 The Emerald Wiccan, the first novel in the Crystal Wiccans series, follows Sarah De Guerin, a wiccan-cop, part of whose job is to find young earthborn wiccans before the Shadow Servants can and take them to Terra Magica, the wiccan world. This time, instead of the kid she expects, she finds Alexander Denmann, a handsome college professor who is mysteriously coming into magical powers years later than he should. After dodging murderous Shadow Servants and convincing Alex to make a magical leap of faith and travel to the wiccan world, Sarah finds herself irresistibly drawn to her earthborn. As she introduces Alex to the wonders of a world where magic is the norm, she is forced to battle society’s prejudices and her family’s expectations. As Sarah and Alex are drawn ever closer together, wiccan society is coming apart at the seams. Their newfound love must struggle to survive amidst the political intrigues of Sarah’s powerful family, the violence of the Shadow Servants, and the rise of the vicious New Order. The First Volume, The Cartel, is Free!